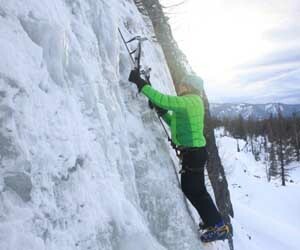 Ice Climbing at Strobach Mountain - NEW!! 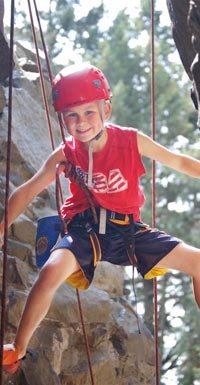 2009 Youth Climbing Camps - NEW!! CLINIC: Intro to Routesetting - NEW!! FREE! 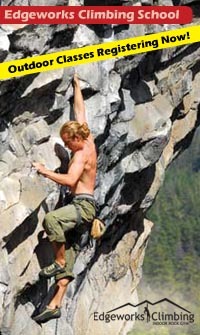 CLINIC: Boulder Beta Bash - NEW!! 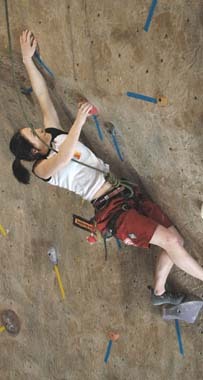 2009 T-Town Challenge Climbing Competition - NEW!! 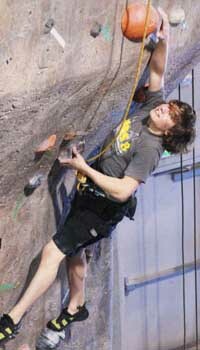 Climbing School: 2009 Class Dates Open for Registration - NEW!! Strobach is east of White Pass and has numerous Ice Climbs ranging from WI2+ to WI6..
4:15 am wake-up, 2.5 hour drive, 4.5 mile hike, overnight pack. These are the numbers that make for a glorious trip – one of many I have had since starting to climb at Edgeworks 1.5 years ago. 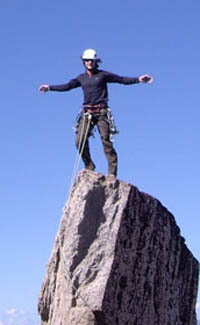 This particular trip centered on ice climbing at Strobach Mountain. With just a couple ice excursions under my belt I was nervous, excited, and ultimately thrilled when I climbed WI3+ and WI4, cleaned and rappelled down a 70m route, and survived without losing any Raynaud’s prone fingers and toes. 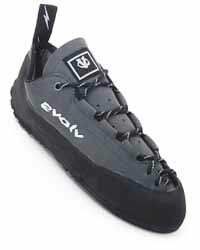 None of which would have been possible without the climbing community at Edgeworks. Spend some time at Edgeworks and you will find ample opportunities to meet fellow climbers whom you can plan and pursue adventurous trips with. Whether your interests lie in ice, rock, or alpine climbing; whether you have a day, weekend, week, or month; whether you can travel local, regional, or international there is never a shortage of trips to participate in. Eavesdrop on conversations at Edgeworks and you will hear about excursions to Exit 38, Leavenworth, Smith Rock, Joshua Tree, even Thailand! Brianna on her first Lead Ice Climb. Right On! Come to Edgeworks to climb, make friends, try new activities, and be part of a community that fosters and encourages physical and mental climbing challenges. As for me, I am counting down the days until my next trip – Vantage or Smith Rock at the end of the month anyone? Have you ever wondered what goes into setting a route or wanted to create one for yourself? Now's your chance! Learn essential routesetting skils from Edgeworks Head Routesetter Andy Davis. From 4:00pm to 7:00pm you will learn tools, safety, and routesetting basics. 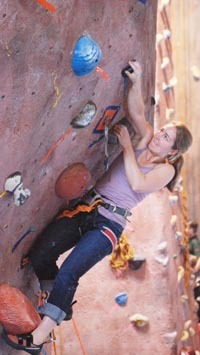 At 7:00pm the you have the opportunity to set your own route or boulder problem. This is also when the Edgeworks Routesetting Staff arrives which a great opportunity to see and learn from them. Learn what makes a great route and then create one for yourself! Meet other pebble wrestlers and beanie wearers and spend an hour with one of our staff members bagging beta for your project. bouldering crux. Important Note! : Competitors and Coaches must check into iso on time! 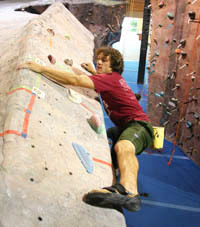 The best investment a climber can ever make is learning to lead traditional routes properly and safely. This two day class will teach you both the art of gear placement as well as how to turn your single pitch climb into many. Trad climbing is rewarding, multi-pitch is even more so; our class will teach the efficient systems and technique required to climb pitch after pitch safely and quickly. begins in March and will give you more than a season’s worth of fun.